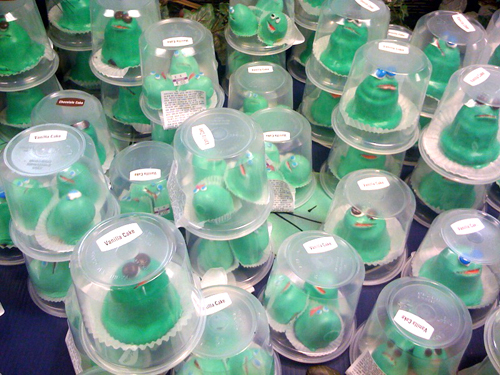 It's Wegmans St Patrick's Day frog cupcake time! And just when you thought they couldn't get any cuter, they made mini ones! The container comes with three of the mini frogs. I may have squealed out loud at the store when I saw them! Every year you post about these cute frogs and then I drive over to our Wegmans to get some for my teenagers and they never have them. so sad but glad to see the spring peeps in your post. Saw your tweet about the ocscar. We have a Oscars pj party each year in our neighborhood. We go to our friends house in our pjs (because it goes so late) and watch the oscars. I am going to take my lap top so we all can watch your tweets at the same time. Have fun. I guess froggie cupcakes aren't big in NJ! Which Wegman's has these frogs? I have asked about them and get a blank stare from most people. I've been jealous of your shopping experiences at Wegman's, and finally went to their site. There is a store only 25 miles from me, so we're doing a trip on Saturday. 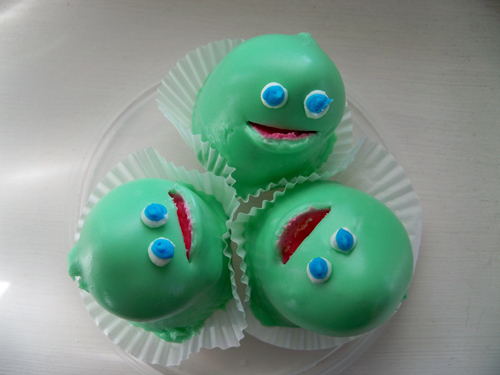 My neighbor's boy's will go nuts with the green frogs. If they don't have them in stock, maybe I'll find a truck Pez dispenser. Great posts all the time! It hadn't occurred to me that not all Wegmans have the cupcakes. I got mine and East Ave and have also seen them in Pittsford and Penfield. Maybe it's a Rochester tradition? I am SO jealous of your Wegmans. I'm in NJ, and our Wegman's will not cooperate about the frogs. And you guys even get baby frogs! 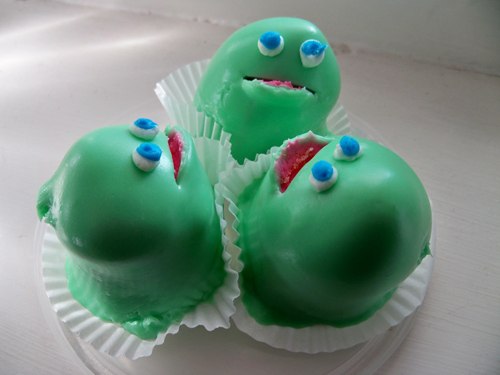 My sisters and I have a FrogFest at St. Patty's Day every year, and we hunt for Frogs like these at local bakeries. We even called Wegmans and begged... but no luck. Those baby Frogs are so adorable!